Home Miss Universe BREAKING NEWS: Miss U Org. Increases Candidates' Age Requirement from 27- 28 Years Old! BREAKING NEWS: Miss U Org. Increases Candidates' Age Requirement from 27- 28 Years Old! Age requirements have been increased from current 26 y/o limit. All contestants must be 18 and under 28 years old before January 1, 2017. Last August 5, we posted an article about this rumor that Miss Universe Organization is seriously considering an increase in the age cap of contestants, from 27 to 28. 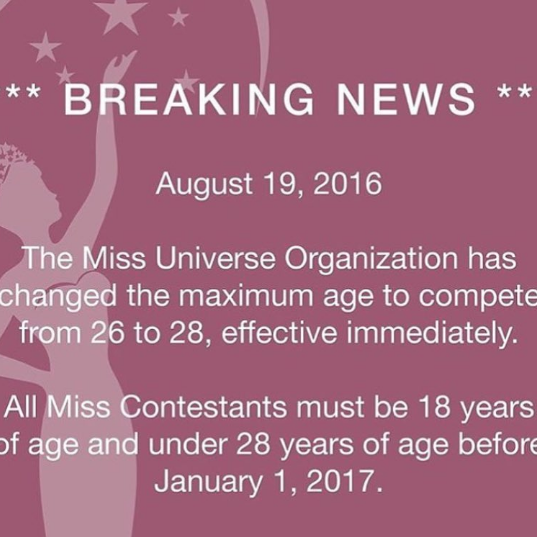 The latest official rules of the Miss Universe pageant say that candidates should be between 18 and 26 years old. Aside from being unmarried and childless, International beauty pageants like Miss Universe strictly prohibits age fabrication or age range of the candidates. 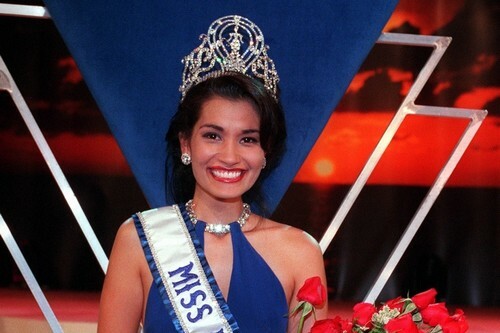 The oldest Miss Universe winner in the pageant’s history is Brooke Lee of USA who won Miss Universe 1997 at the age of 26 years and 128 days.